As a member of SoL Sweden you are invited to participate in and contribute to a learning community, including activities and documentation. If you have any questions about the SoL Sweden membership, feel free to get in touch with us via our Contact Page using the form below. Regular member meetings where a learning approach is applied to enhance your knowledge about system thinking and systemic change. Through contact with SoL members both in Sweden and from the global network of SoL fractals, you can share and enhance your knowledge and understanding about learning and systemic change both locally and globally. 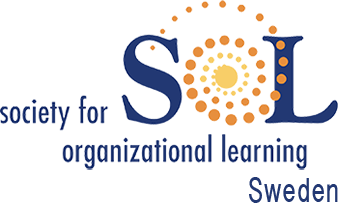 SoL Sweden offers occasional short courses, seminars or workshops around specific SoL approaches. These public courses are offered at special rates to members. When you join as a member of SoL Sweden, you become a part of, and help shape, SoL Sweden's inspired community of leaders and change agents. SoL Sweden helps people awaken greatness in themselves to generate profound transformation in their work - and their world. Through our workshops and programs, leaders discover new ways of working together to activate shared purpose, harness collective intelligence and create bold, inspired futures. When you join SoL Sweden as a member you become part of this inspired learning community. Together we are developing the capacity to think and act differently in pursuit of remarkable, transformative results. 2. Consultant; facilitator, coach, trainer etc. Membership fee: 1000 SEK/person for 2018. Use the form below in order to apply for membership in SoL Sweden.